It’s hard to beat a one-of-a-kind glass Christmas tree made of 2,000 handblown ornaments at the world’s largest museum devoted to glass art and artifacts when it comes to adding some sparkle to your holiday season. Located in America’s Crystal City, the spectacular holiday tree is just one of the reasons Corning is the place to be for the holidays which officially kick off the Saturday after Thanksgiving with the arrival of Santa and Mrs. Claus, followed by the tree lighting ceremony in Centerway Square (named one of the 15 Most Beautiful Town Squares in America by Travel + Leisure). 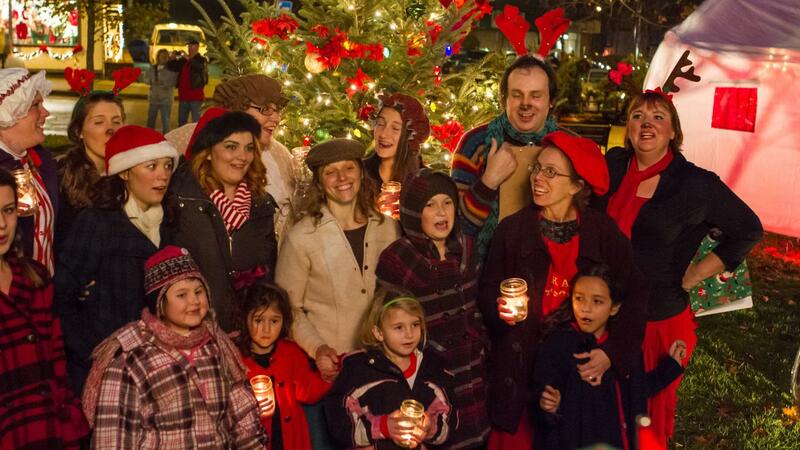 The evening’s festivities also include the 23rd Annual Parade of Lights, and a special fireworks demonstration. In 2018, there will be a slight twist on the annual parade of lights as it will be stationary, allowing visitors to explore each of the wonderful floats and displays at their leisure. This will also give them the opportunity to step inside the many shops, galleries, and studios on historic Market Street without having to worry about missing any of the excitement. 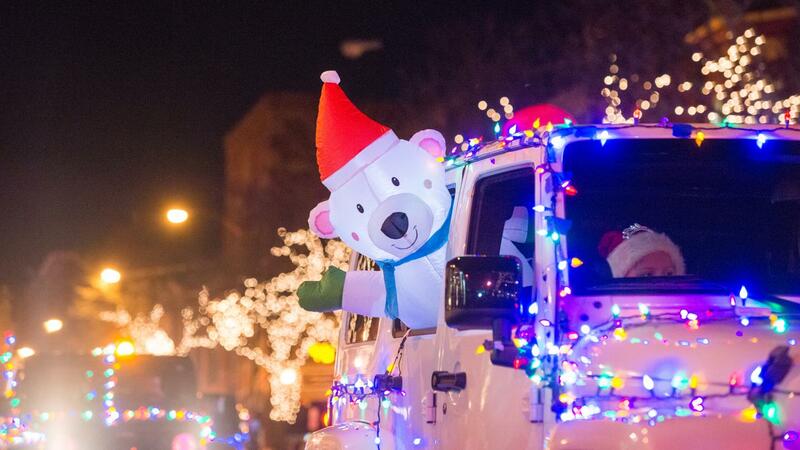 Part sing-along tree lighting ceremony, part stationary evening parade where floats, special displays, and participants are covered tip to toe in lights, the Parade of Lights will also feature a fireworks demonstration. 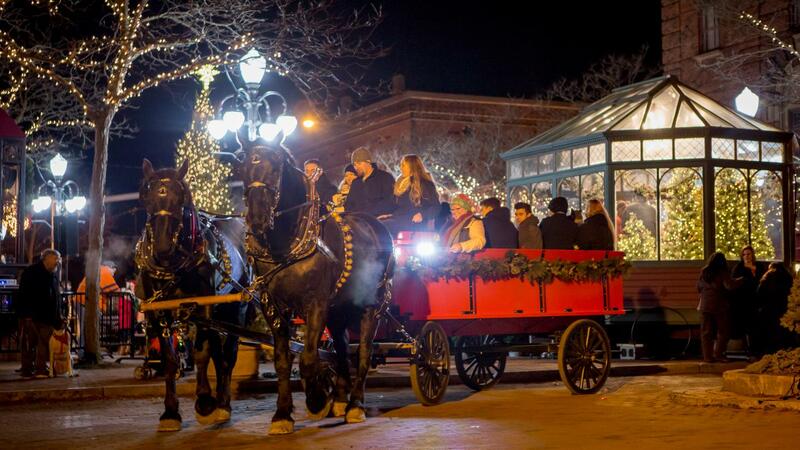 The following weekend, the holiday season culminates in Corning on December 1st with the 44th Annual Sparkle, a hugely popular event featuring horse-and-wagon rides, special shopping and dining promotions, outdoor entertainment, and more. Dating back as far as 1974, Sparkle has been a highlight of the holiday season for folks living near and far. Begun by the Market Street Restoration Group as a way to inspire people to shop local and get excited about the Holiday season, the annual event has become a not-to-be-missed sensation as Market Street is transformed into the perfect place to shop, explore, taste, and truly capture the holiday spirit. This event remains a holiday favorite. 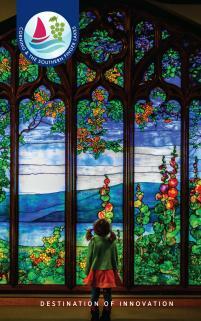 Start a new family tradition blowing your own glass ornaments at The Studio found at the The Corning Museum of Glass. 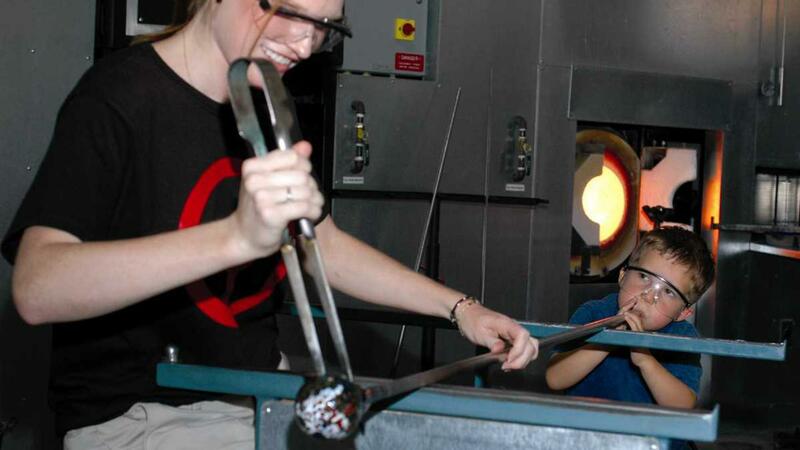 Or, for what Country Living calls “a more personalized, family friendly experience," anyone age two and up can blow an ornament at Hands-on Glass Studio. With about 100 boutiques, galleries, studios and restaurants, Corning’s Gaffer District is the perfect place to satisfy your holiday shopping fix. And what better way to get into the holiday spirit than by visiting Vitrix Hot Glass Studio located on historic Market Street. 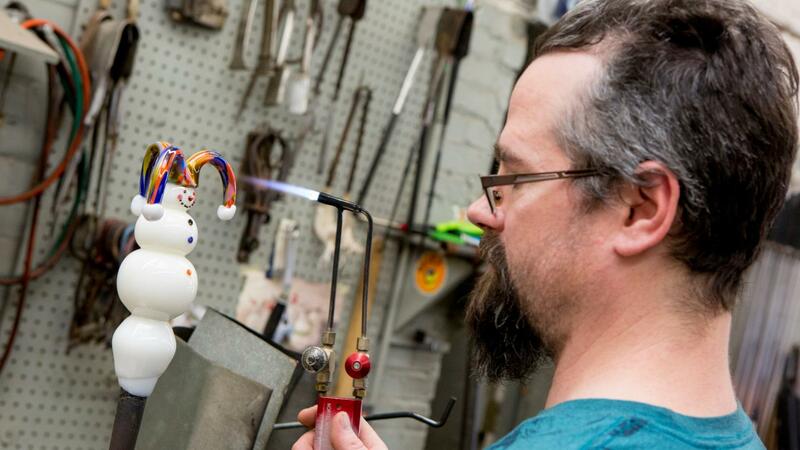 Known around the world for their wonderful glass art, during the holidays one of Vitrix’s specialties is the colorful and playful glass snowmen made in the studio. 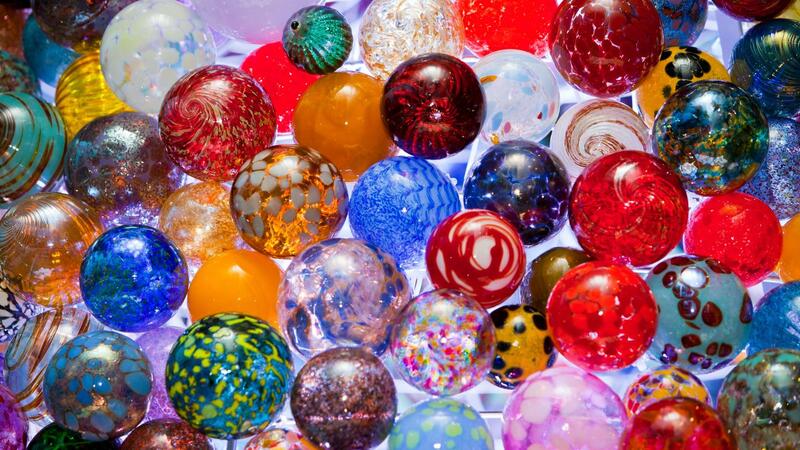 You can watch the glassblowers create theses delightful pieces while you shop. In nearby Hammondsport (a town of only about 600 residents, named “Coolest Small Town in America” by readers of Budget Travel), the holidays come alive as they celebrate Christmas in the Park which is an old-fashioned Christmas featuring live music, food, Santa, storytelling, wagon rides, vendors and more in and around the Village Square. With a rich aviation and wine history, Hammondsport offers the best of a slower pace, yet with exceptional culinary experiences (New York State’s most award-winning winery since 1962), restaurants like Pleasant Valley Inn, award-winning craft breweries on the Craft Your Adventure Trail, and several quaint antique shops and boutiques nestled around the Village Square. 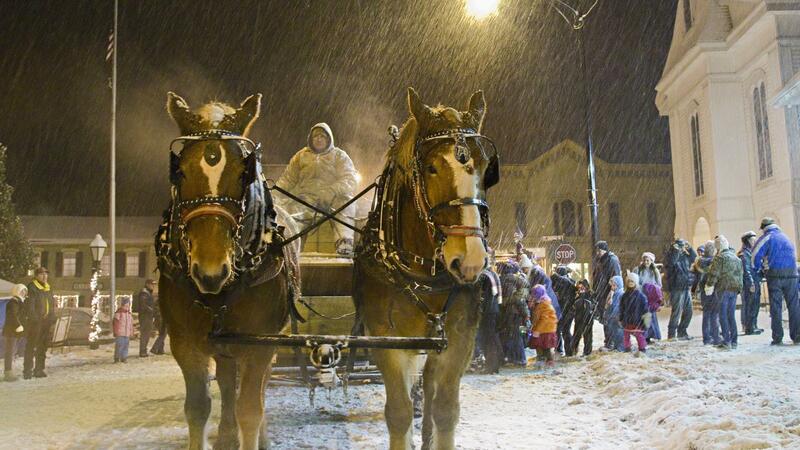 With tree lightings, horse and wagon rides, one-on-one time with Santa, ice carving, gingerbread competitions, storytelling, food vendors, and more, other small towns like Bath celebrate The Spirit of Christmas. 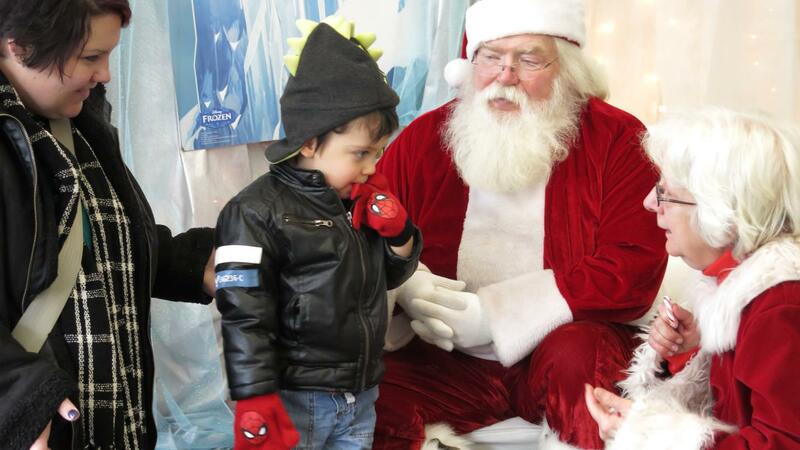 While out west, folks say, “there is no place like Hornell for the Holidays!” The annual festivities include a parade, traveling music, photo ops with Santa in his brand new Gazebo located in Santa Lane. With horse and wagon rides, a chance to get up close with some of Santa’s reindeer, plus live holiday music in various locations, Hornell bring Christmas to life. 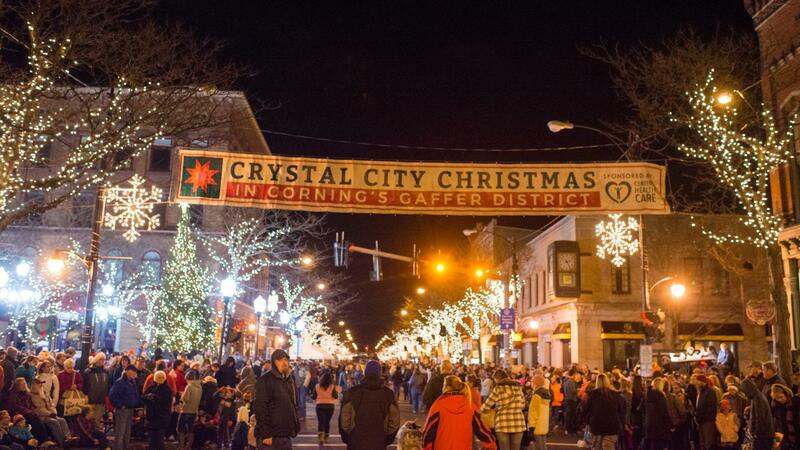 To learn more about the specific holiday events throughout Corning and the Southern Finger Lakes including dates and times, visit our Holiday Events page.